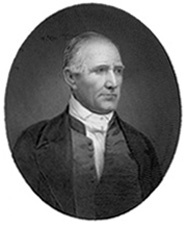 Bergeron, Paul H. A Test for Jacksonians: Sam Houston on Trial. East Tennessee Historical Societys Publications 38 (1966): 16-29. Braider, Donald. Solitary Star: A Biography of Sam Houston. New York: G.P. Putnams Sons, 1974. Campbell, Randolph B. Sam Houston and the American Southwest. New York: Pearson Longman, 2007 (3rd ed.). Cantrell, Gregg. Sam Houston and the Know-Nothings: A Reappraisal. Southwestern Historical Quarterly 96 (January 1993): 327-43. Corn, James F. Sam Houston: The Raven. Journal of Cherokee Studies 6 (Spring 1981): 34-49. Creel, George. Sam Houston, Colossus in Buckskin. New York: Cosmopolitan Book Corp., 1928. Crouch, Barry A.  Magnificent Barbarian: Sam Houston Revisited. Houston Review 15 (1993): 3-30. Daniels, John David. The Political Philosophy of Sam Houston. Masters thesis, University of North Texas, 1990. Day, Donald, and Harry Herbert Ullom, eds. The Autobiography of Sam Houston. 1954. Reprint. Westport, CT: Greenwood Press, 1980. Elliot, Sarah Barnwell. Sam Houston. Boston: Small, Maynard & Co., 1900. Frantz, Joe B. Texas Giant of Contradictions: Sam Houston. American West 17 (July/August 1980): 4-12, 61-65. Friend, Llerena. Sam Houston, the Great Designer. Austin: University of Texas Press, 1954. Haley, James. Sam Houston. Norman: University of Oklahoma Press, 2002. Hopewell, Clifford. Sam Houston: Man of Destiny: A Biography. Austin: Eakin Press, 1987. Houston, Sam. Ever Thine Truly: Love Letters from Sam Houston to Anna Raguet. Austin: Jenkins Garrett Press, 1975. James, Marquis. The Raven: A Biography of Sam Houston. 1929. Reprint. Atlanta: Cherokee Publishing Co., 1991. Kennedy, John F. Sam Houston." In Profiles in Courage, pp. 100-117. 1956. Reprint. New York: Harper & Brothers, 1961. Kreneck, Thomas H. Sam Houston and the Jacksonian Frontier Personality." Houston Review 8 (1986): 105-34. ___. Sam Houstons Quest For Personal Harmony: An Interpretation." Ph.D. dissertation, Bowling Green State University, 1981. Ratner, Lorman A. Sam Houston: The Prodigal Son." In Andrew Jackson and His Tennessee Lieutenants: A Study in Political Culture, pp. 99-107. Westport, CT: Greenwood Press, 1997. Roberts, Madge Thornall. Star of Destiny: The Private Life of Sam and Margaret Houston. Denton: University of North Texas Press, 1993. ___, ed. The Personal Correspondence of Sam Houston. 4 vols. to date. Denton: University of North Texas Press, 1996 - . Seymour, Flora Warren. Sam Houston, Patriot. New York: Century Co., 1930. Shearer, Ernest C. The Mercurial Sam Houston." East Tennessee Historical Societys Publications 35 (1963): 3-20. Sibley, Marilyn McAdams. James Hamilton, Jr. vs. Sam Houston: Repercussions of the Nullification Controversy." Southwestern Historical Quarterly 89 (October 1985): 165-80. Stenberg, Richard R. The Texas Schemes of Jackson and Houston, 1829-1836." Social Science Quarterly 50 (March 1970): 944-65. Van Wagenen, Michael Scott. Sam Houston and the Utah War." Utah Historical Quarterly 76 (Winter 2008): 66-78. Welch, June Rayfield. Houston Was Out of Step with the South." In The Texas Senator, pp. 76-82. Dallas: G.L.A. Press, 1978. Williams, Amelia W., and Eugene Campbell Barker, eds. The Writings of Sam Houston, 1813-1863. 8 vols. Austin: University of Texas Press, 1938-1943. Williams, John Hoyt. Sam Houston: A Biography of the Father of Texas. New York: Simon & Schuster, 1992. Wiltshire, Susan Ford. Sam Houston and the Iliad." Tennessee Historical Quarterly 32 (Fall 1973): 249-54. Winningham, Mrs. David. Sam Houston and Slavery." Texana 3 (Summer 1965): 93-104. Wisehart, Marion Karl. Sam Houston: American Giant. Washington: R.B. Luce, 1962.